If you are a project manager you will probably already be familiar with Google Docs and Google Calendars – these are now classified as Apps. Apps are not just for your mobile, these web apps provide functionality and you can simply add them to your chrome browser with a click of a button. 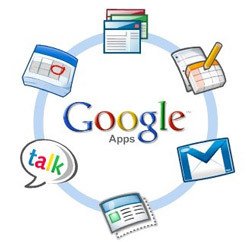 They make the perfect collaboration tools because with Google Apps Store everything is in the cloud, this allows easy global access, and only one document needs to be updated so that there is no confusion about which is the latest update. Project management companies have taken advantage of what Google Apps can offer and have been busy creating Apps that recognise docs, appointments, calendars, Gmail and contacts. The beauty is that all this information can be shared globally and can be made available to all key stakeholders, team members and project leaders. Using Google Apps for project management is the perfect example of how cloud computing will become an ever increasing part of the way businesses function, store and share data.. This application boasts the BEST Gantt Chart on the planet! This application will actually work out and tell you if your projects are on track. This app is like having a personal assistant. For projects to run smoothly tasks need to be clearly defined. Team members must be clear about their roles. The main focus of this application is to get everyone working together with clearly defines roles and deadlines. Creating and editing a task is simple and creates news feeds to keep everyone informed of progress and changes. There is a mobile client for both Android and iPhone. Great Free App used by many businesses. Allows you to quick task and project creation buttons for your Gmail. You can access the app from your Google universal navigation account. Create customisable project templates for quick project creation. Easy to use with many useful functions. Written by Heather Buckley of Silicon Beach Training, providers of project management training including accredited Prince2 Training courses. This entry was posted on Wednesday, November 23rd, 2011 at 12:18 pm and modified by WebMaster View on Friday, March 21st, 2014 at 10:22 pm. You can follow any responses to this entry through the RSS 2.0 feed. Responses are currently closed, but you can trackback from your own site. Thank god for the Google Apps Marketplace !